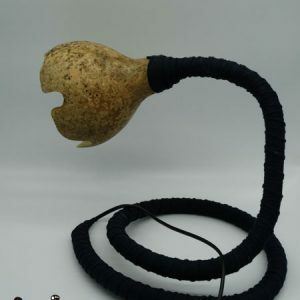 Freak lamp.This is a custom handmade lamp. 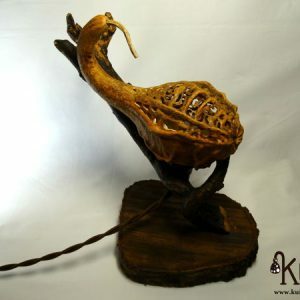 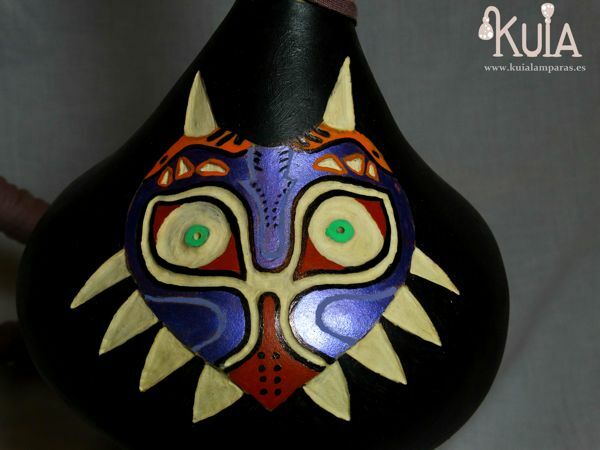 A custom lamp by one of the protagonists of the video game Zelda, the majora’s mask. 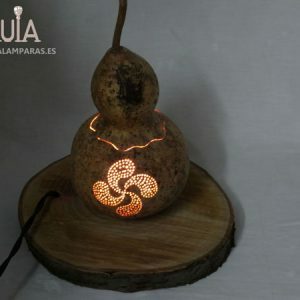 The drawing has been carved thought for a special illumination, due to the reddish colors that it acquires when this lamp ignites. 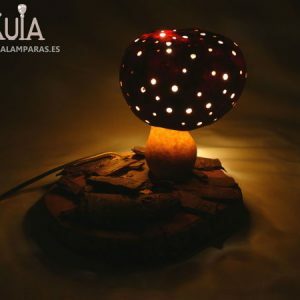 With this lamp we open a new section in kuialamparas.es of personalized lamps on protagonist of videogames, drawings … a section somewhat geek. 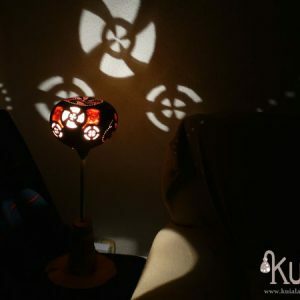 So if you are a fan of manga, consoles etc, you can ask your character become a beautiful lamp. 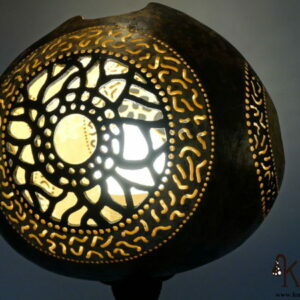 To order your personalized lamp you can enter the contact section and send me an email telling me what you want.